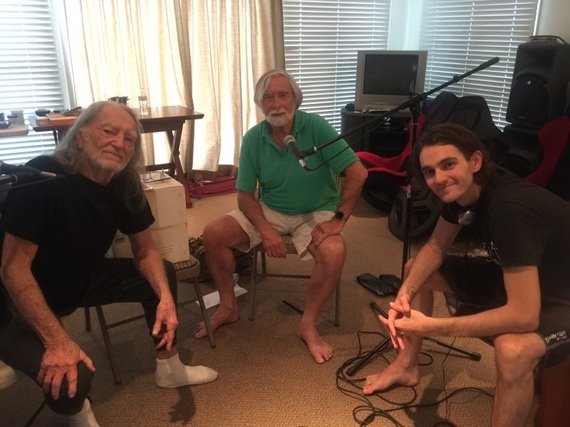 In part one of a two-part conversation at his home in Hawaii, American musician Willie Nelson tells KCRW's "Scheer Intelligence" that his upbringing during the Depression was an ideal childhood. Nelson recently released his autobiography, It's a Long Story, about his "bare bones" childhood with his grandparents in Abbott, Texas, his trouble with the law and his bumpy path to success as an artist. Speaking with Scheer, he describes the influence of the church on his music and experience, a run-in with the IRS in the early 1990s that he considers positive, and his well-known appreciation for marijuana.